What Is SGX Central Depository (CDP) Account In Singapore? Then you have landed on the right article. Here, we will cover what a CDP is, why you need it, and why you don’t have to panic when your CDP statement doesn't match your brokerage account statement. How To Set Up A CDP Account In Singapore? What’s The Difference Between A CDP Account And A Custodian Account? If you want to buy and own your first shares, you will need to set up a CDP. A CDP account acts like your personal safe for your stocks. Whenever you buy a share in a listed company through the open market, it gets deposited into your CDP account. 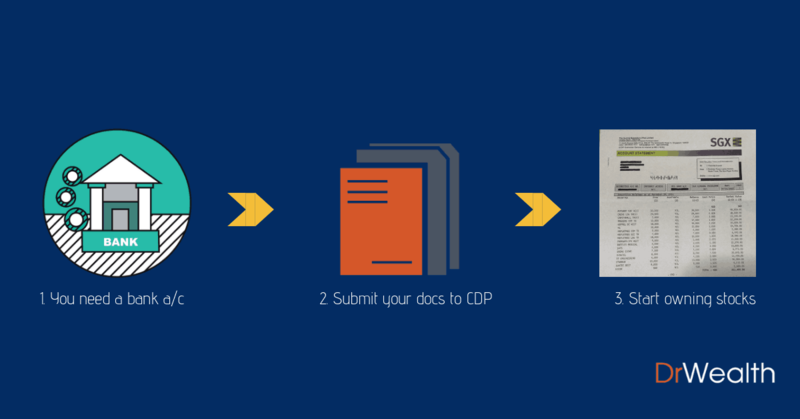 There are 2 easy ways for you to set up your own CDP account. The DIY way is simple. Head to SGX’s website to sign up for a CDP account. You will need to fill up the application form (which can be downloaded from the link provided in the website), and provide a photocopy of your NRIC or passport. Latest Notice of Assessment for income tax. Note that the statement needs to be dated within the last three months (from your submission date). Don’t worry, it is not for any surveillance purpose. (we're sure you've paid you paid your taxes) This is simply to allow SGX to do a confirmation check that the address in your NRIC tallies with your current address. If you are someone who like to do things digitally, you will be disappointed to know that you cannot submit your entire application online. You can also make an appointment over here before visiting them. The other way to apply for a CDP account is to get your broker to do the work for you. While you are signing up for a brokerage account, your broker will courteously ask you if you have a CDP account. You can simply tell your broker to sign up for a CDP account on your behalf using the information that you provided on your brokerage sign up form. All you need to do is to sign an extra 'CDP application form' while signing up for your brokerage account. Personally, we prefer this option as it allows us to 'kill two birds with one stone'. Much easier and hassle-free. Standard Chartered has been the pioneer of low commission rates for investors since it introduced its brokerage services. One key difference between Standard Chartered and most brokers is the location that their clients' shares are being kept. Whenever you buy shares, most brokers will help to facilitate the trade and deposit your shares in your personal Central Depository (CDP) account. In other words, it is in the safe possession of you and only you. However, if you use Standard Chartered as your broker, your shares will be kept in the custody of Standard Chartered, instead of your CDP account. An AGM is a mandatory annual meeting of shareholders. At the AGM, companies present their financial statements (also known as "accounts") before the shareholders (also known as "members") so that they can raise any queries regarding the financial position of the company. If you are purchasing stocks under a custodian, they will act on your behalf. Should you wish to attend the AGMs, you need to notify Standard Chartered 7 working days before the AGM. You will be entitled to the food. But, you will not be able to vote at the AGM. Instead, you will be attending it as an 'observer'. *updated! Thanks to Elijah for pointing this out! If your shares are held by the custodian, you can only access them via the same custodian. This means that when you want to sell the shares, or take any other actions with your shares, you will need to go through the same custodian/broker. If your shares are held in the CDP instead, you can sell your shares through any broker. No limitations on the using the original broker. Moreover, if your shares are not held in your CDP, you will not be notified of corporate actions such as rights issue, dividend reinvestment plan and dividends directly via your mail (physical mail). Instead, you will be notified by your broker. If you want your shares to be held in your CDP instead, you can opt for DBS Cash Upfront Account. It is the only brokerage that does not act as a custodian for your shares. It's common for brokerages to get you to open a cash management account with them. From the brokerage's perspective, this means that you are committed to using their platform to trade. 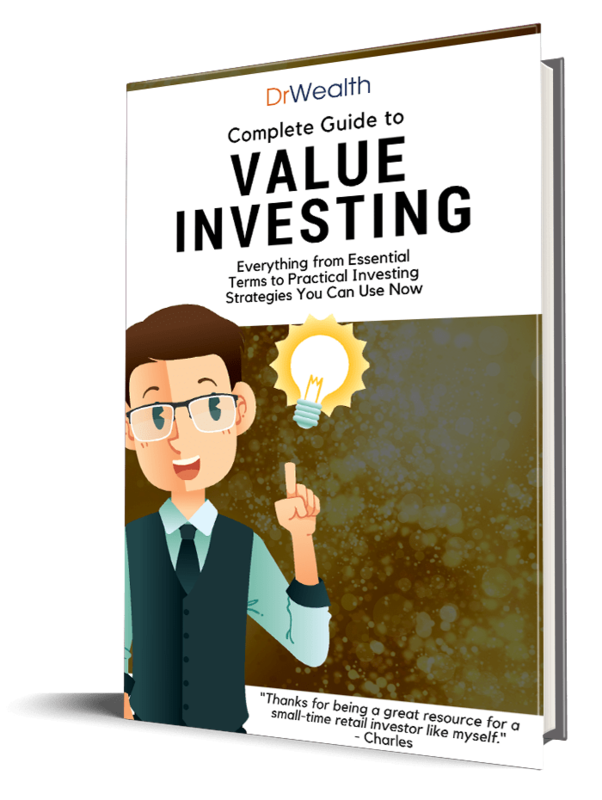 They are able to offer you lower commission since they are gunning for you to make more trades with them in the long run. Some brokerages charge a management fee if you do not meet their minimum requirement. For example, Philip Capital Cash Prepaid Account charges $16.05 per quarter if no single trade is made within a quarter. You can opt for DBS’ Cash Upfront account or UOB Kayhian’s UTRADE Plus account with cash upfront to avoid these hidden management fees. You will often see the following message when you click on the portfolio in your brokerage account. The wordings may differ but the meaning is the same. The Portfolio… will not be updated for trades performed with other brokers or for any corporate actions taken on these shares. Information contained within these pages are also subject to manual updates made by clients. Clients should always confirm their actual holdings with CDP or their CPF Investment Agent Banks. This is to warn you that you should not trust the figures shown on your brokerage account. This is because the account is not linked to your CDP and any changes to the quantity of shares would not be automatically reflected in your brokerage account. You may have noticed that a counter you used to own suddenly disappears from your account. You do not remember selling it, but it isn’t there anymore! Do not panic, you still own the stock. It is likely the stock has changed its symbol and your brokerage account did not replace the entry with the new symbol. This was very common when SGX’s Minimum Trading Price (MTP) criteria was released and many stocks had to be consolidated to meet the MTP. In the process of consolidation, the stocks changed their stock symbols. If unsure, always login to your CDP account and check your holdings. It is the most accurate. If you still have the stock, you can manually add the stock into your brokerage account. Some investors have more than one stock brokerage account. Since stocks are stored with CDP, you can buy from one broker and sell it through another broker, as long as both of them are SGX Trading Members. However, when you use different brokers to buy and sell, your portfolio in both accounts would not tally. One would still show you have the stocks while the other might show that you have a short position. It's like having two bank accounts which you use to do different things with. Hence, you need to be careful when you use multiple brokerage accounts to transact. When in doubt, always refer to your CDP account. It should clearly display the current balance of shares that you currently own. This should be the most obvious scenario because the number of shares definitely will change. Splits will increase the number of shares while consolidations will decrease the number of shares. Similarly, the quantity is not automatically adjusted in your brokerage account. Some investors might be worried to see their stock price ‘dropped’ significantly after a stock split or be surprised by the ‘jump’ in prices after a share consolidation, misleading them to sell their holdings. Investors have to manually adjust the quantity after the split and consolidation. Failing to do so might result you to sell a wrong quantity some time down the road. Bonus shares are given to shareholders for free. They are not automatically adjusted in your brokerage account. On the day that the stock goes 'Exclude Bonus' shares (XB), the share price is likely to decrease proportionately to the increased share base. You would need to adjust it manually. Read more about what is bonus issue. Rights issue give investors the opportunity to buy more shares in the company, at a proposed price. A rights issue can be optional or mandatory and trade-able, depending on the conditions of its proposal. When you subscribe to the rights, which are essentially more shares, you communicate directly with the issuer. Hence, your broker does not know about the additional shares you are going to receive. Read more about what is a rights issue. At some point of your investing journey, you might receive a cash offer from big investor(s) who wants to buy over your shares. Such announcements would be made public and the offer price made known. If you feel that the offer price is a fair price, you will need to sign and return the acceptance letter to sell your shares. After you have done so, the brokerage account would still reflect that you ‘own’ the shares but it is no longer the case in reality. Thus, check your CDP and delete the counter from your brokerage subsequently. As an investor, you will need the 2 basic accounts to own and invest in stocks. A CDP account to store your shared, and a brokerage to help you execute your trades. To provide flexibility in costs for smaller investors, brokerages have provided a wide range of products for you to choose from. We've provided a quick comparison of using the CDP account vs using a custodian account above. The most important thing to note as a small investor is the fees. Before you commit to any broker, make sure you understand the fees you will need to bear as a customer. What Is An Accredited Investor and How Do I Know If I’m One Of Them? Hi!!! Can I check if it’s possible to transfer shares from the custodian account to CDP? You usually are able to transfer shares from your custodian account to your CDP, subjected to fees. For example, Standard Chartered’s case it will cost $10.70 (with GST) per counter per transfer. You will need to check on the fees with your brokerage/broker. I’m pretty sure that Phillip offers a Cash Management account that is linked to CDP, not to mention other brokerages? Can I also clarify, since CDP is for Singapore stocks only, so CDP linked brokerage account will automatically hold your foreign shares in their custody right? It might not have double charges ($21.40), as CDP transfer fee applies when you are transferring shares rather than receiving shares. It’s better to check with them directly since it involves various parties. Awesome!! thanks for the info! I would like to clarify the part (Rights to attend AGMs), for Stan Chart custodian account, you are still able to attend the AGM – you just need to inform Stan Chart. The only downside is that you are not able to vote. Hi Elijah, thanks for pointing that out! Thanks for the details, it is very helpful. I have a doubt, if I buy shares/etf in other markets apart from Singapore will it be shown in my CDP account? Can you please eloborate how CDP / custodian works in case of non-Singapore trading done via Brokers in Singapore? No. CDP is only for SGX listed counters. If you buy foreign shares, your broker will hold the shares on behalf of you. Thanks for the wonderful insights. I’m very new to trading, so pardon my ignorance if this is a stupid question. What happens if a broker closes down what whatever reason? What will happen to any local stocks and overseas shares we may have bought? If you stocks are stored in SGX CDP which is most of the time then you don’t have to worry should the brokerage close down. However, your money in the brokerage may be stuck. I believe it will be disbursed according to the Interstacy Law, as with your other assets.